Implera – one of the startup companies taking part of Iskratel Startup program – has developed comprehensive solution for charging electrical vehicles for residents of multilateral buildings. This solution can be used for charging electrical cars, as well as charging quadricycles, wheelchairs and other electric vehicles. 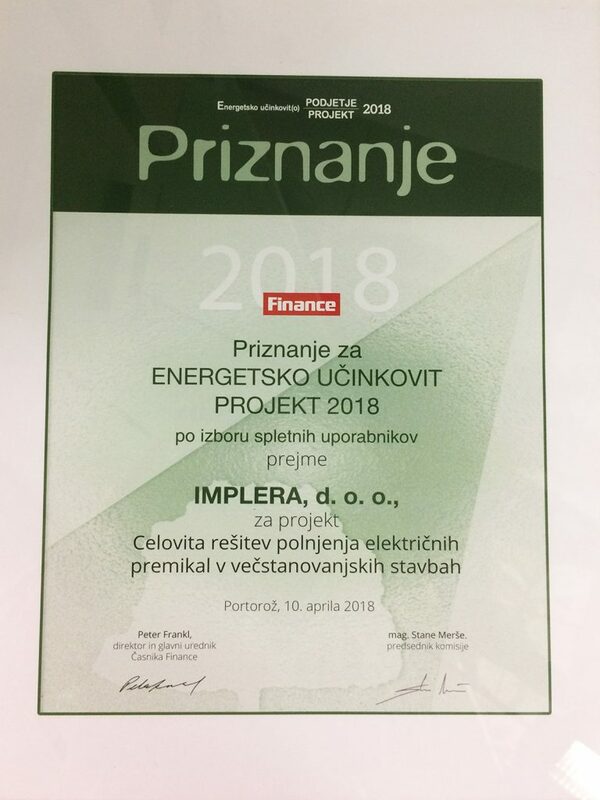 The biggest challenge for Implera was the electrical installation, since the residents do not have supply of electricity from their apartments. To overcome this challenge, they developed two versionas of the solution – one for holders of parking spaces in garages and another one for the common parking spaces. Company Implera was founded last year and has gained founds and collaboration support from Iskratel, as part of the Iskratel Startup program.